I designed this hobby electronic circuit about 30 years ago and still use it from time to time. It is powered from a 3v battery. It makes a tone when the transistor tests good. 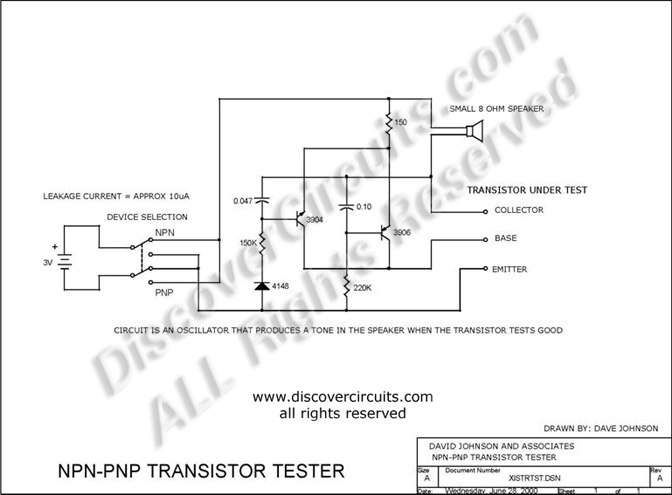 It can be used to determine device type (NPN or PNP) and the base, collector or emitter transistor pins. It can also test most transistors while still connected to a circuit.